pertaining to the differences between the two. In this series, I'm going to explain the purpose of both -- while also exploring which portions of NFV and SDN should be included in network infrastructure planning discussions. We will also explain what virtual network functions (VNFs) are in respect to NFV, and what opportunities you have today to implement VNFs within your infrastructure. NFV is nothing more than the virtualization of applications and services that traditionally ran on proprietary appliance hardware. Just as the server community has found tremendous flexibility, scalability and cost-saving benefits by virtualizing servers, the same is now being done with many parts of the network. Think of NFV as an overall structure that allows for the rapid provisioning, control and scaling of a virtualized network infrastructure -- each individual service that becomes virtualized is considered a virtual network function. At this point in time, it is primarily large service providers that have, or are moving toward, a full VNF strategy to virtualize their entire infrastructure. It makes sense for them, as they have to be as flexible and dynamic as possible to provide the exact network functions the customer demands. And virtualizing each network function is a great way to accomplish both scalability and flexibility. But for most enterprises, virtualizing every aspect of the network doesn't yet make sense. For one, the cost to overhaul and replace an appliance-based infrastructure for a virtualized one would be immense. Second, enterprises don't require the level of scalability and rapid provisioning capabilities that a service provider would. Basically, you can virtualize anything on the infrastructure you want. The next question then becomes, should you? That being said, this doesn't mean enterprises shouldn't entertain the possibility of virtualizing parts of their network. In fact, in many cases, it makes perfect sense. This is especially true when you are at the point where you need to retire aging network appliances. In many cases, network vendors now provide a choice: You can either replace the old appliance with a new one, or you buy a software-only version and run it on commodity server hardware as a virtualized appliance. Examples of network appliances and services that can be virtualized today include routers, switches, firewalls, intrusion prevention systems, load balancers, video conference gateways, and various security and management appliances. Basically, you can virtualize anything on the infrastructure you want. The next question then becomes, should you? As stated previously, virtualizing appliances provides a number of advantages from a scalability and flexibility perspective. You also have to consider the potential savings of eliminating the upfront cost of purchasing proprietary hardware to run the network services. This is, of course, assuming you have a virtual server environment that can host the virtual network appliances. Nonetheless, virtualizing anything creates an added layer of complexity that can cause confusion when implementing and troubleshooting. Additionally, the placement of the VNF, as it relates to data flow, must be considered when looking at virtualizing a formerly physical appliance. If data flowing in or out of your network must be significantly rerouted so it passes through a VNF residing in the data center, you may want to reconsider a virtualized network infrastructure. A benefit of physical appliances is they are point-based services that can be physically installed anywhere along the network path. Redirecting traffic into a data center can increase complexity -- and potentially create network bottlenecks, as the amount of north-south data center traffic can increase exponentially. Ultimately, enterprise organizations have adopted the approach of "virtualize when possible." In most cases, network administrators are honing their VNF skills by learning on virtualized instances of services and appliances that are spun up in the infrastructure-as-a-service clouds their company leverages. Then, taking what they've learned in the cloud, the process of migrating parts of the in-house network that make sense from a financial and data traffic perspective can begin. And, over time, network architectures will change to the point where it makes sense to virtualize nearly all network services. The next article in this virtualized network infrastructure series will explore the benefits of why an enterprise organization may want to introduce SDN capabilities into networks that are physical, virtual or both. 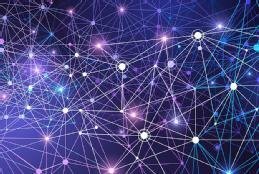 How far could SDN evolve in the next few years? What is holding you back from implementing VNFs in your enterprise?